Black Zapper Algaecide Killer / 4 x 1qt. 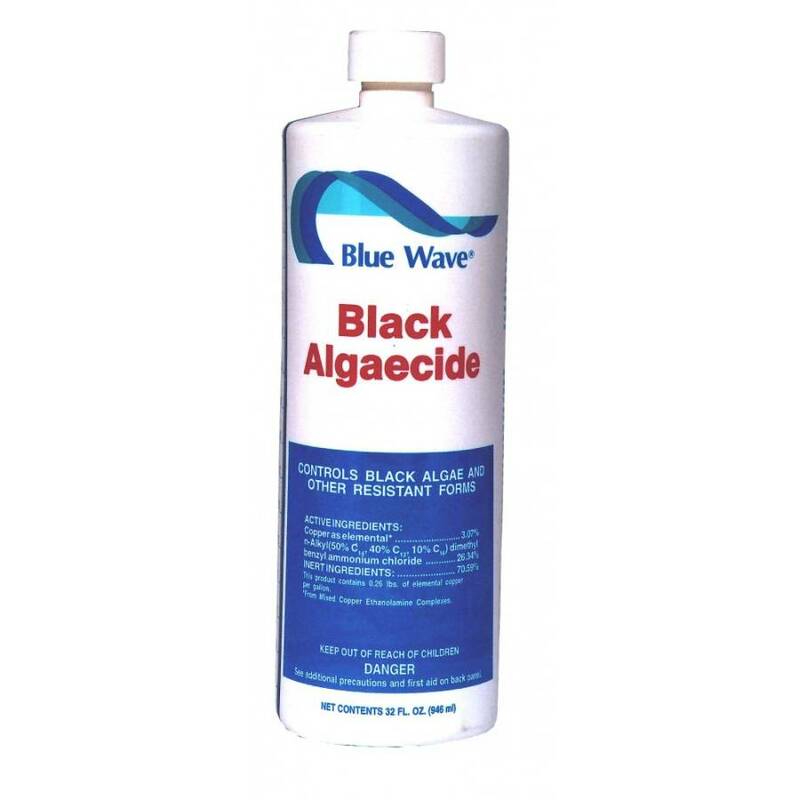 Black Zapper Algaecide is specifically formulated to fight tough black algae strains. Black algae is an especially stubborn strain as it has a hard outer shell and is tougher than the other forms of algae. Getting rid of black algae usually takes more than one day to get rid of depending on how bad the infestation is. Make sure your pH level is between 7.5 and 7.6, brush all spots that black algae appears, shock your pool water using 2 lbs. of shock per 10,000 gallons and use Black Zapper Algaecide as directed on the bottle. 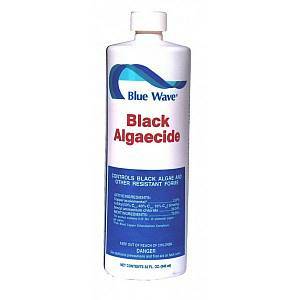 Our Black Zapper Algaecide is concentrated and 16 ounces will treat 10,000 gallons. If you are not sure how many gallons of water your pool holds please click here for our pool water volume charts. The Black algae killer will not cloud your pool water and is low foaming.